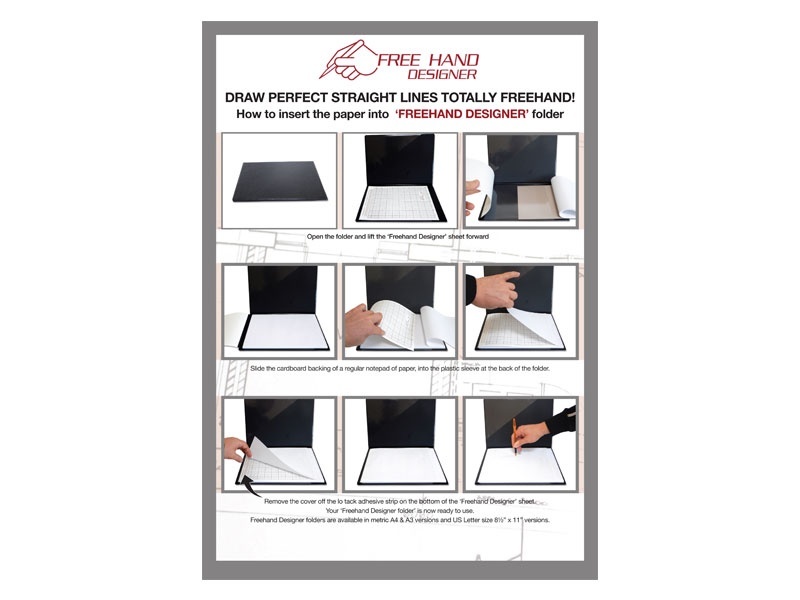 Our most popular pack, useful for anyone who needs to do a quick on-site plan or a quick sketch at the desk or in the workshop. 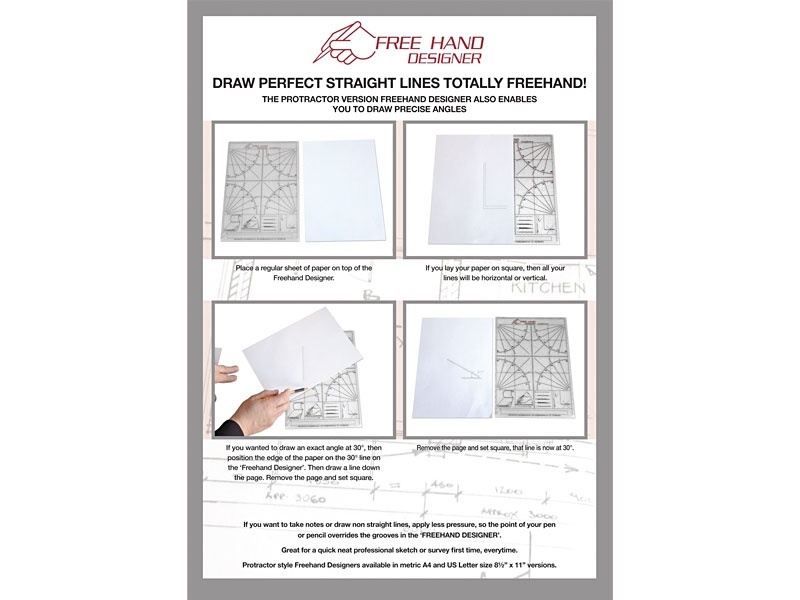 Contains: A4 Freehand Designer sheet + A4 Freehand Designer folder + A4 pad of paper + Fine point pen + lo tack adhesive roller + Circle template. 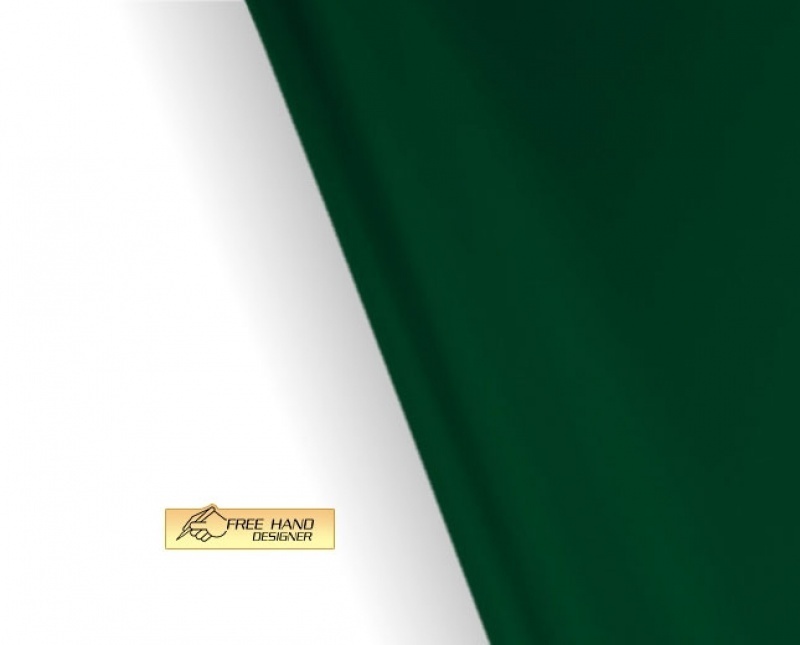 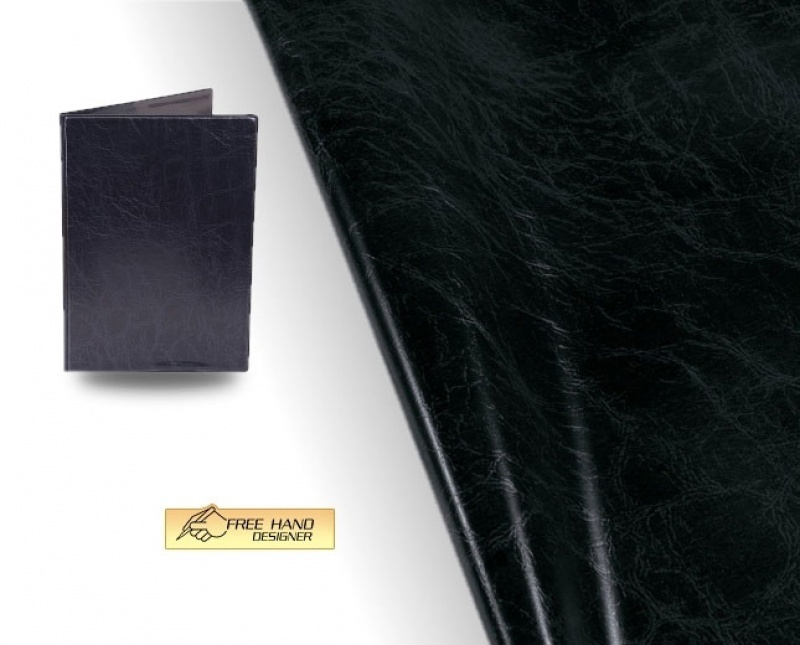 This pack does not include paper for orders placed outside the EU. 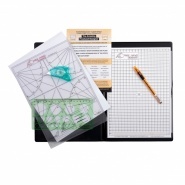 The ideal pack for people who need to do a mix of A4 and A3 drawings on-site. 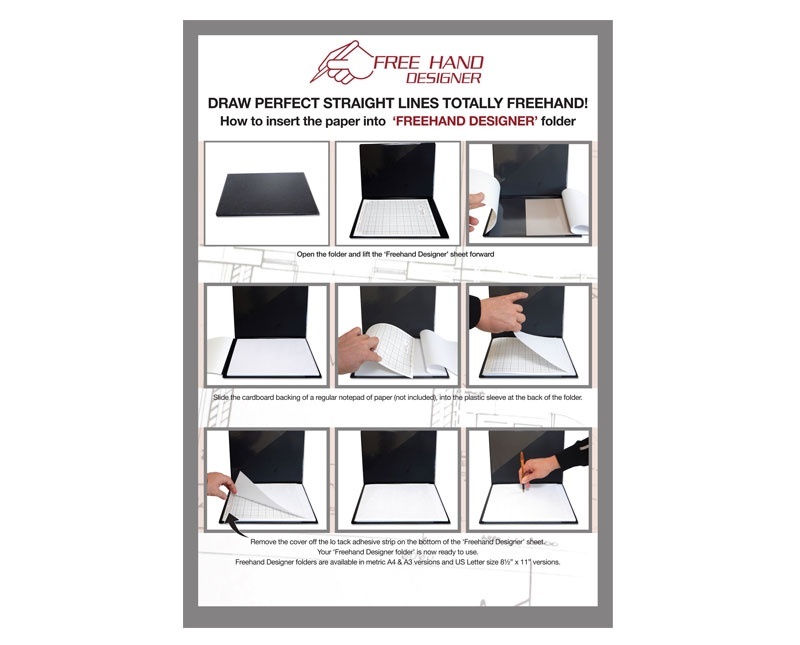 Useful for Architectural technicians, kitchen designers, floor and space planners etc. 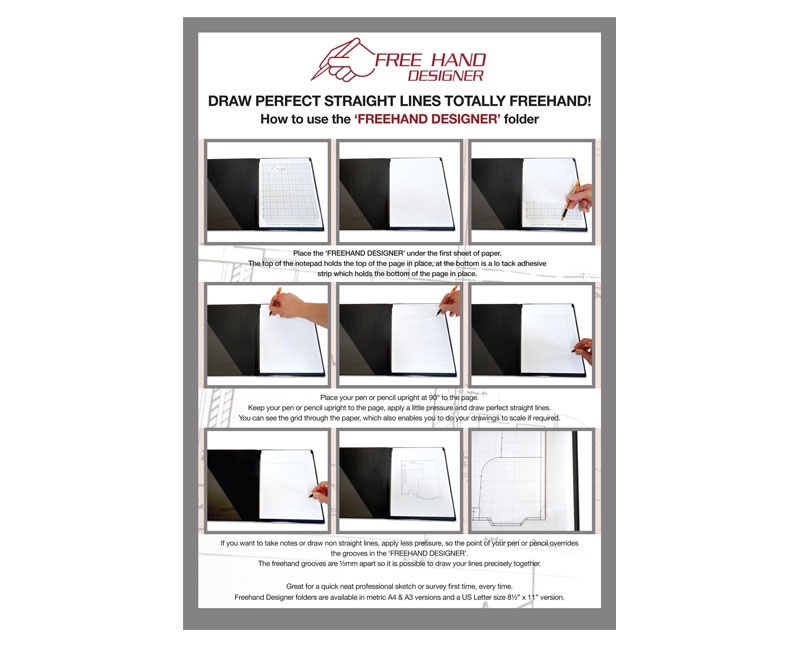 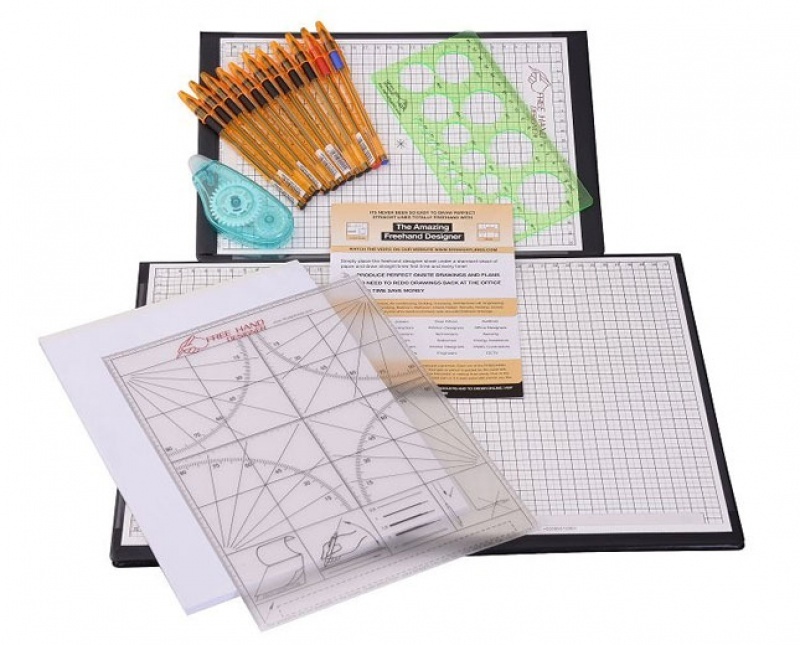 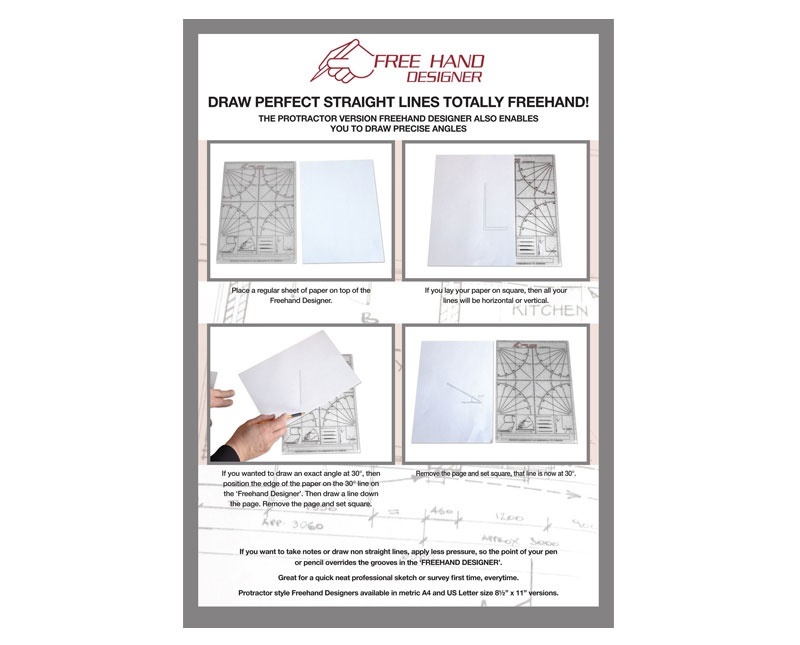 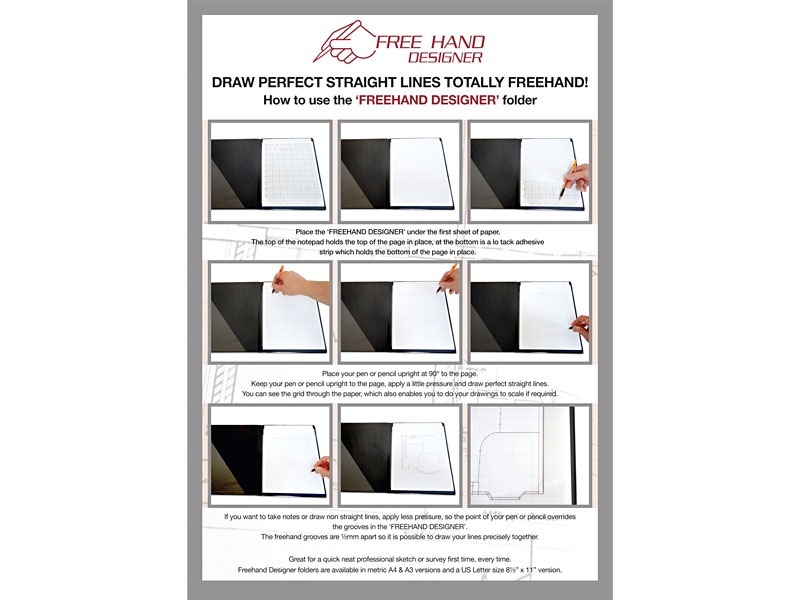 Contains: 1 x A4 Freehand Designer Protractor sheet + A4 Freehand Designer Folder in your selected colour + A4 pad of paper + Black A3 Freehand Designer Folder + A3 pad of paper + 10 x Fine point steel tipped pens + lo tack adhesive roller + Circle template.